This intense new novel follows a middle-aged man as he contends with a past he has never much thought about until his closest childhood friends return with a vengeance, one of them from the grave, another maddeningly present. Tony Webster thought he d left all this behind as he built a life for himself, and by now his marriage and family and career have fallen into an amicable divorce and retirement. But he is then presented with a mysterious legacy that obliges him to reconsider a variety of things he thought he d understood all along, and to revise his estimation of his own nature and place in the world. 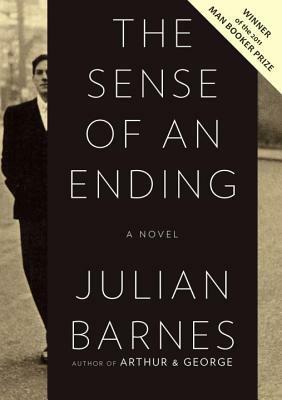 Julian Barnes s honors include the Somerset Maugham Award, the Geoffrey Faber Memorial Prize, and the E. M. Forster Award from the American Academy of Arts and Letters. In 2004 he was named Commandeur de l Ordre des Arts et des Lettres by the French Ministry of Culture. He lives in London. www.julianbarnes.com"
"Brief, beautiful....That fundamentally chilling question - Am I the person I think I am? -turns out to be a surprisingly suspenseful one.... As Barnes so elegantly and poignantly revels, we are all unreliable narrators, redeemed not by the accuracy of our memories but by our willingness to question them." —Julie Wittes Schlack, The Boston Globe.